Estes Park, Colo. – Rocky Mountain National Park is proposing a change in its’ current entrance fees. Because of Rocky’s proximity to the populated Colorado Front Range, the park is proposing to add a single day pass to the existing option of fees. This “Day Use Pass” would remain at $20 while the weekly pass would increase to $30 for those visitors who intend to enjoy the park for multiple days. The park is proposing that the annual park pass increase to $50 and eventually increase to $60 by 2017. While basic operations of the park are funded by direct appropriations from Congress, the fee program is intended to provide for various enhancements to visitor services and facilities. The fee program helps provide a margin of excellence for the visitor experience. The Federal Lands Recreation Enhancement Act (FLREA) is the legislation under which the park currently collects entrance and amenity fees. This law allows parks to retain 80 percent of the fees collected for use on projects that directly benefit visitors. The remaining 20 percent is distributed throughout the National Park System. Since the beginning of FLREA and its predecessor program Fee Demo, the park has spent over $66 million in repairs, renovations, improvements and resource restoration. Shuttles – The park’s visitor shuttle bus system transports an average of 460,000 visitors annually throughout the Bear Lake Road corridor and to and from Estes Park. In recent years, annual operating costs and a move toward “greening the fleet” that improves fuel efficiency and a reduction in emissions and noise, has increased transit program costs. These costs are offset through revenue generated from fees. Camping – A multi-year project is ongoing to completely renovate all restroom facilities throughout the park’s campgrounds. Picnicking – A multi-year project is ongoing to replace old wooden picnic tables throughout the park with more sustainable concrete tables, significantly extending the life cycle replacement costs. 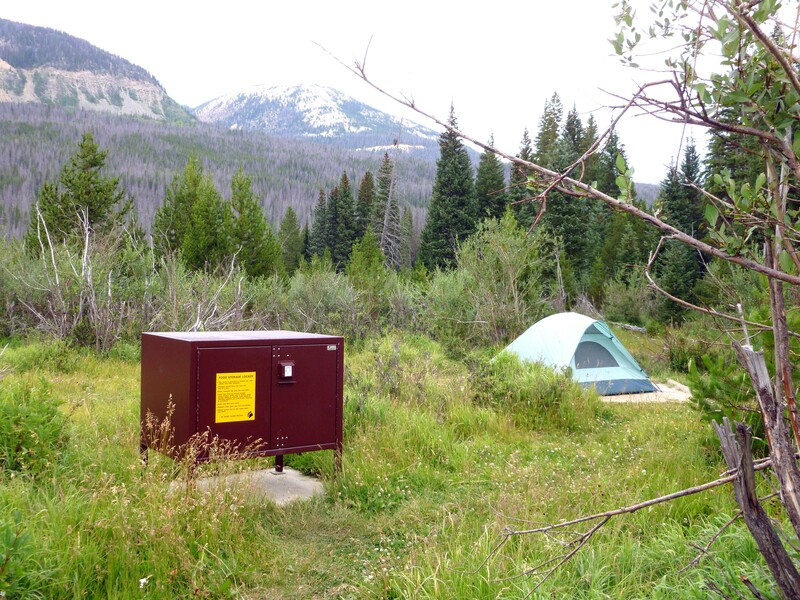 Hazard Tree Mitigation: The park is among many areas along the Rocky Mountains where trees have been dying from a mountain pine beetle epidemic. Fee program funding has allowed for extensive mitigation of hazard trees in or near park facilities such as campgrounds, parking lots, road corridors, housing areas and visitor centers. Hiking Trail Enhancements: Forty-five trailhead kiosks and sign panels have been replaced as well as maintenance and replacement of hundreds of front country and backcountry signs. 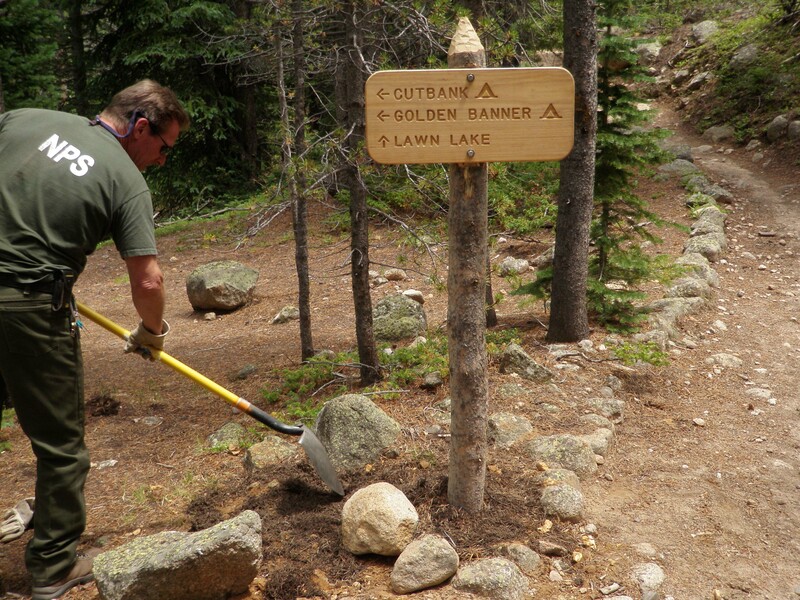 Sections of approximately 100 of the park’s 350 miles of trails have been maintained and reconstructed including Flattop Mountain, Dream Lake, Black Lake, Wild Basin area trails, Longs Peak, North Fork, Lawn Lake, East Inlet, North Inlet, and the Alpine Ridge Trail. Fee program funding has also afforded opportunities for a variety of Youth Corps groups such as the Student Conservation Association, Rocky Mountain, Larimer County, Americorps, Ground Work Denver and others to assist with these trail projects. Park staff are proposing that campground fees increase from $20 a night to $26 a night in 2016. Campground fees are based on comparable fees for similar services in nearby campgrounds. Rocky Mountain National Park is a strong economic engine for the surrounding area. In 2012, more than 3.2 million park visitors contributed $196 million to the local economy and supported 2,779 jobs related to tourism. Park staff are seeking feedback about the proposed fee schedule. Please email comments to ROMO_Information@nps.gov by December 1, 2014. The current park entrance fees have been in effect for the past nine years. The park’s annual pass increased in 2009. Feedback the park receives will help determine how and when a fee increase may be implemented. Tags: Rocky Mountain National Park. Bookmark the permalink.